Have you ever seen a happier dog?? 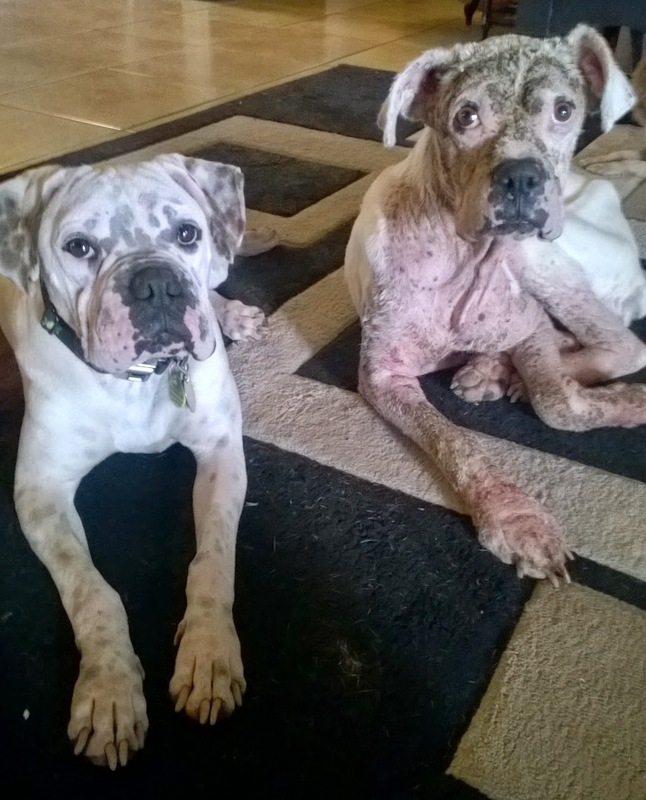 Osha is just SO happy now that she's settled into her Legacy foster home. Her scabs and sores are gone now and she's gotten treatment for the little buggies in her digestive track, so she's feeling sooooo much better. 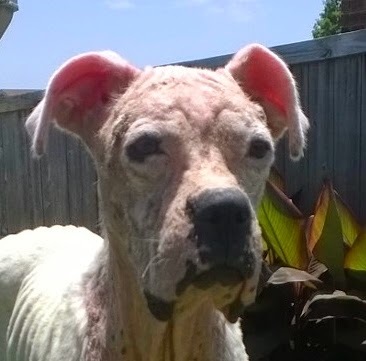 She's almost well enough to start her mange treatment, which will help even more. I know she'll be happy not to be so itchy! 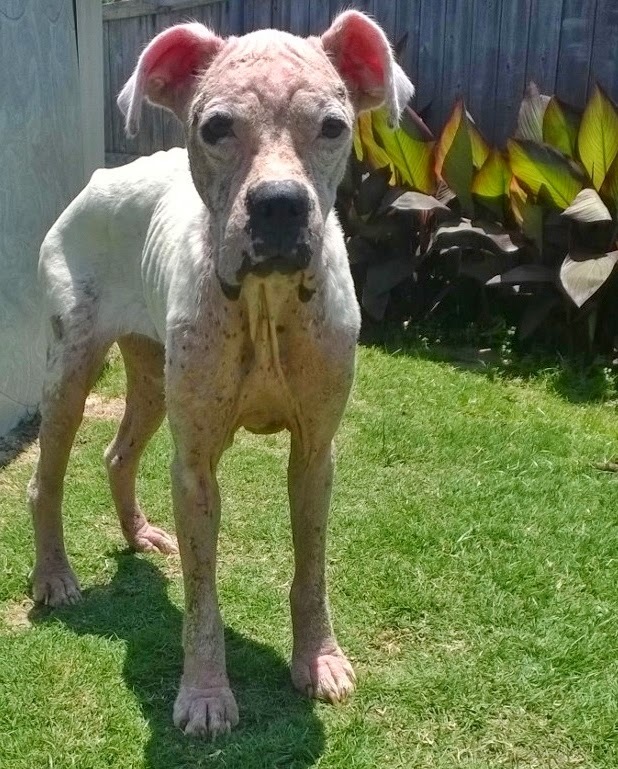 We're hoping that clearing up the mange and anemia will help her heart murmur, but if not we'll be testing her some more to see what might be causing it. One thing's for sure -- this little girl has nothing but the very BEST ahead of her! Whew! I don't know about you pups, but I'm TIRED. Sorry I haven't been responding to posts for the past few days, but this weekend was SUPER busy. See, it was the final weekend in Momma's Renny-sauce faire, where she goes and dresses in a funny costume all day. This year was so pawesome, because we all got to go down and stay at my Auntie Amanda's house right by the faire. That way Momma didn't have to leave us for as long, AND we got to play with Auntie Amanda's menagerie the whole time. I left every single weekend totally worn out and loving it! Here's some pictures from our visits the past few weeks. Penny and I are BFFs. This is Benny. He's only a year old and has tooooooons of energy! Benny and I wrestled lots and LOTS! Sometimes I had to take a break before I could play anymore! Cinderella did a lot of resting too. Bebe and Chica figured out that Momma's lap is a pretty pawesome place to snuggle. Do you see me on the far left? I was Bebe's pillow! Frankie and I were extra good for treats. Then it's back to wrestling with Benny! Wait, I think Auntie Kristen might have some treats too! She hung out with us a lot. It took her a few weeks, but Chica finally decided I wasn't a bad guy after all. Abby was just Cinderella's speed. They formed the old ladies bridge club while Benny and I played! Look at beeYOUtiful Miss Osha!! Hasn't she just improved in leaps and bounds? 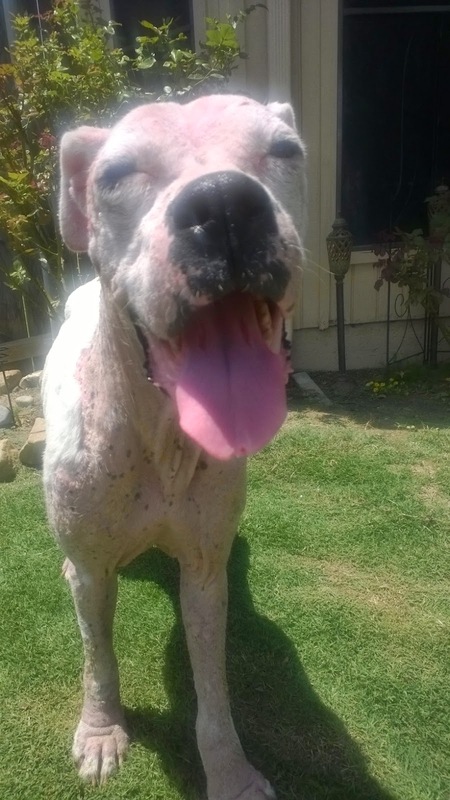 We're so so happy that she's doing better here in LBR's care. She's gaining weight and getting her boxer spirit back. PeeS: I'm super-duper excited. I've talked about my Momma being a runner and doing all sorts of races -- 5ks, 10ks, 15ks, half-marathons, and she's even training for a marathon! But I'm going to get to run a race WITH her!! 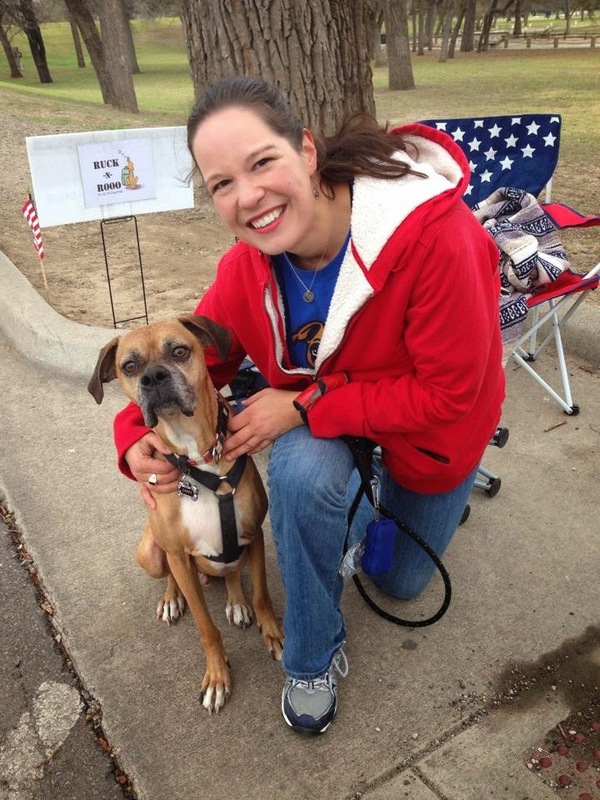 Momma signed up to run the Peace, Love, Run 5k on June 28th in nearby Richardson AND she signed me up to run with her!! I get my own pawsonal race bandana to go with her race shirt. I'm so excited to get to share this with her. This isn't anything LBR-connected, just something fun we're doing. But if you live in the area and want to see us run like zombies are chasing us, come on down! Ready to hit the start line! If there's one thing I love, it's going on walkies. Momma is the most pawesomest momma in the whole world, because she takes me on walkies twice every single day. We go for a nice leisurely family walk in the morning so we can all wake up, then in the evenings Momma and I go out just the two of us for a nice, brisk, long walk. It's grreat exercise, and it's such nice bonding time for me and Momma. And sometimes I meet pawesome new furiends on walkies! Do you know what's even better than walkies, though? Hard to imagine, I know! But how about walkies for a cause? There's this pawesome app for the smarter-than-bipeds phones, Take Your Walk for a Dog. You can download it at www.wooftrax.com. 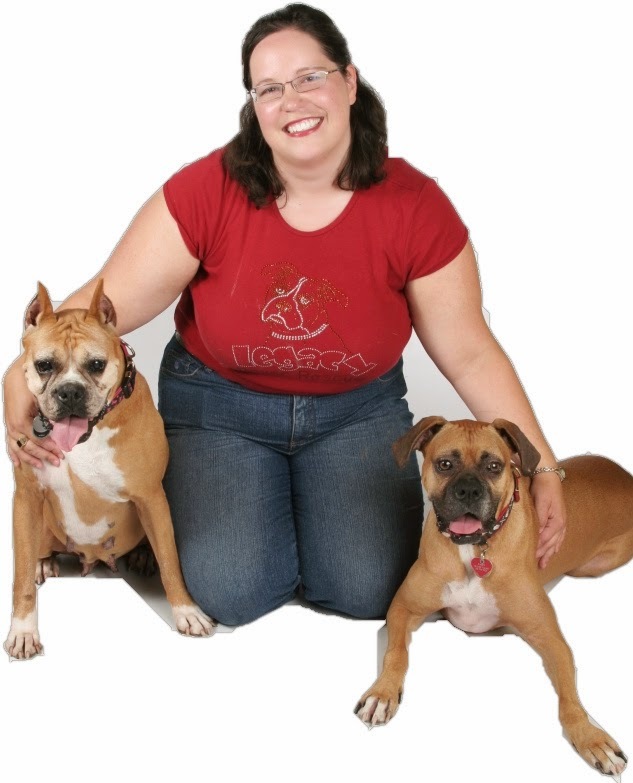 You link it to your favorite shelter or rescue, then fire it up every time you go on walkies. For every mile you walk, it donates to your rescue!! 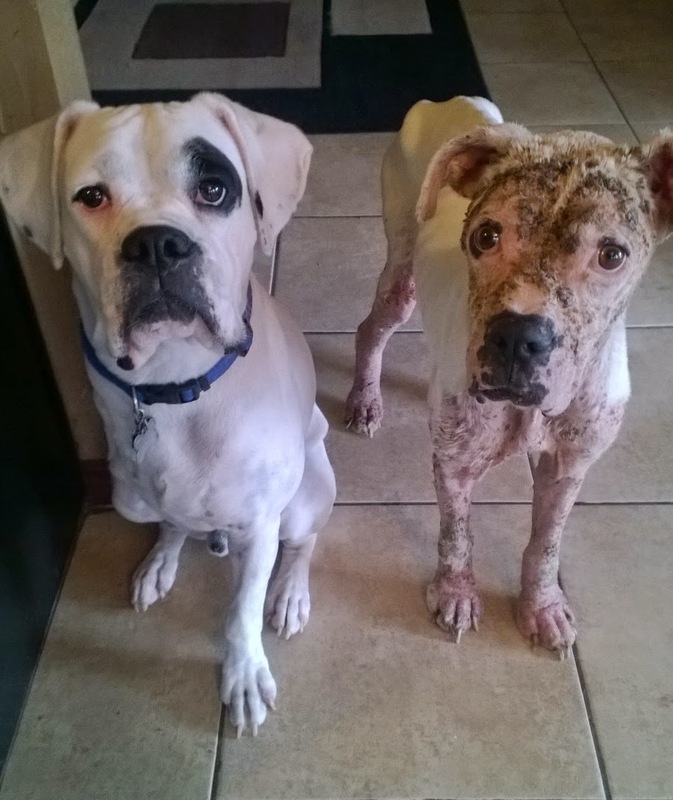 If you don't have a local shelter or rescue you support, please set your WoofTrax to Legacy Boxer Rescue in Hurst, Texas. And go on walkies for a cause! Date Day: The most magical date on Earth! Do you know what today is, Blogville? It's DATE DAY!! It's finally here. I've been waiting and waiting for the chance to take out my beeYOUtiful Maggie Mae. Siiiiiiiigh. She's so wonderful. I rushed right over to pick her up in my snazzy convertible. 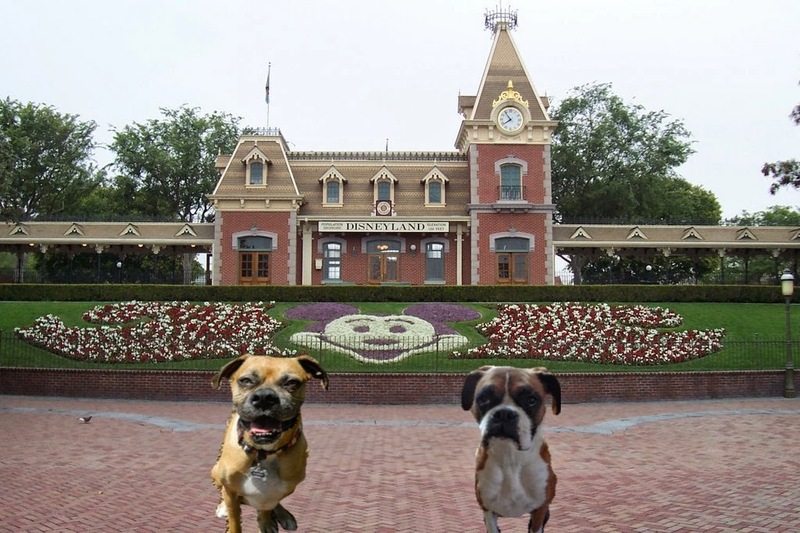 Yes, where better than to take a gawjuss girl like Maggie Mae than the happiest place on Earth?! You just can't beat Disneyland. Maggie Mae was so surprised! She said she felt like a puppy again. We went for a ride on the carousel, just like in Mary Poppins. (Our horsies stayed on the ride, though, they didn't go running off on their own. They were very well behaved.) Then we went for a spin in the teacups! 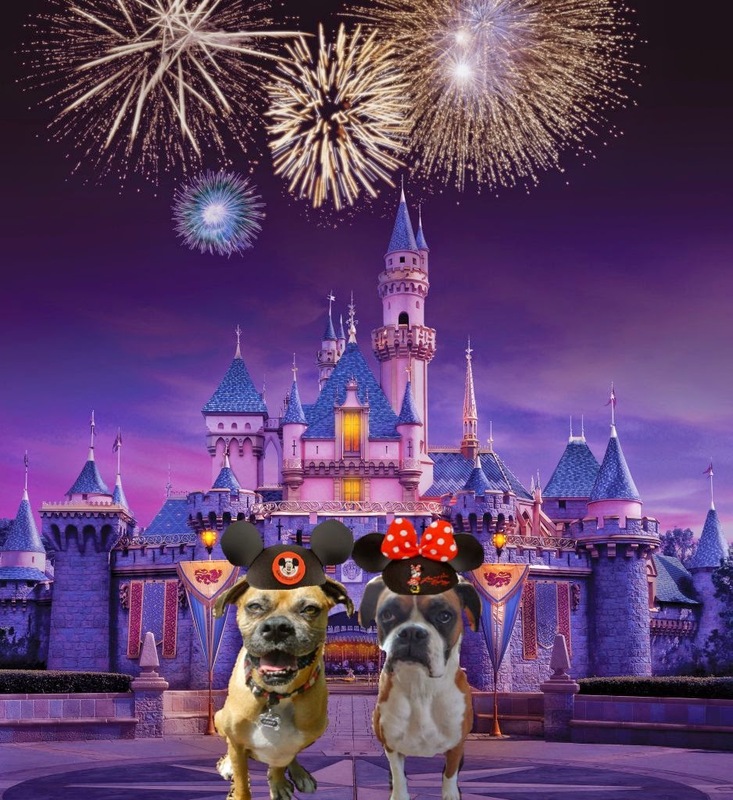 I had to get some mouse ears for us both, of course, Isn't Maggie Mae pretty in her little Minnie ears? I'm so glad that my Maggie Mae could join me on such a pawesome day. Thank you for being my girl. 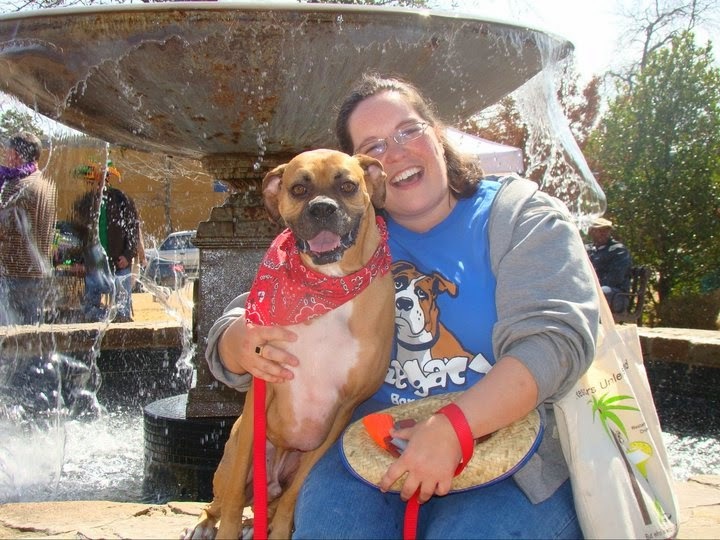 And thank you Sarge for hosting such a pawesome event! Guess what our Pack Leader got in the mail today? 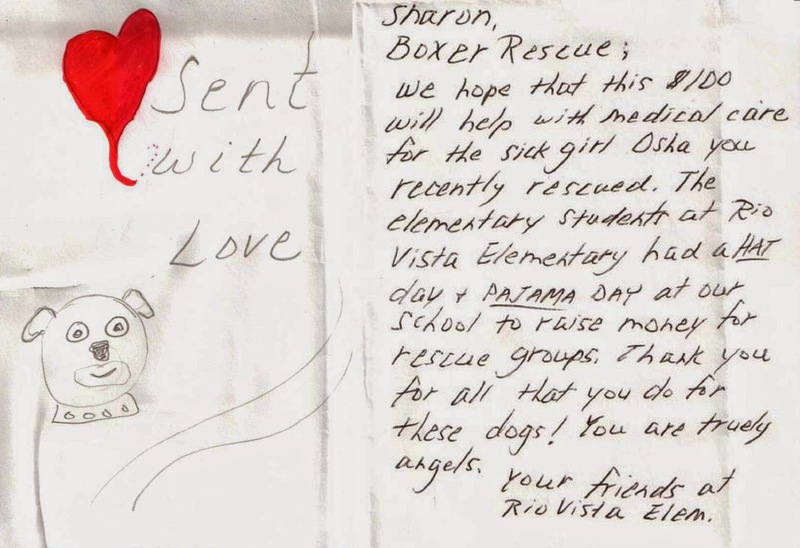 Those pawesome elementary school kids did fundraising and sent us $100 to help with Osha! OMD, can you believe how sweet and generous they are? "I can feel all the love making me stronger!" 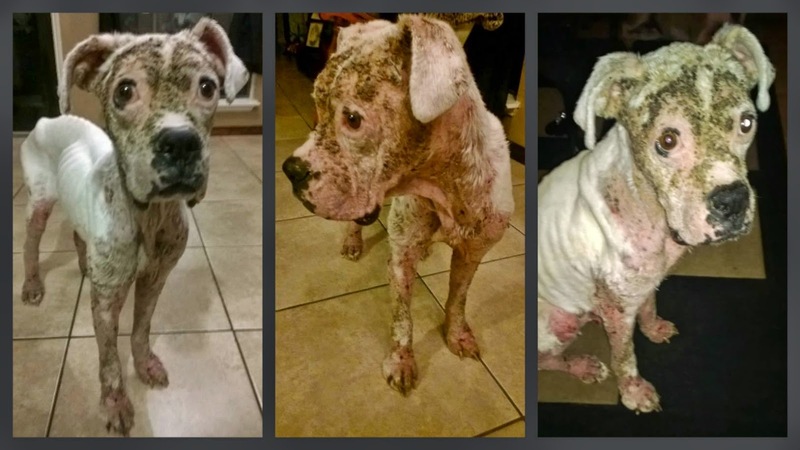 Osha has settled in nicely to her foster home. She's met the resident doggies there, and they're being very sweet about treating her gently and not trying to play hard yet. 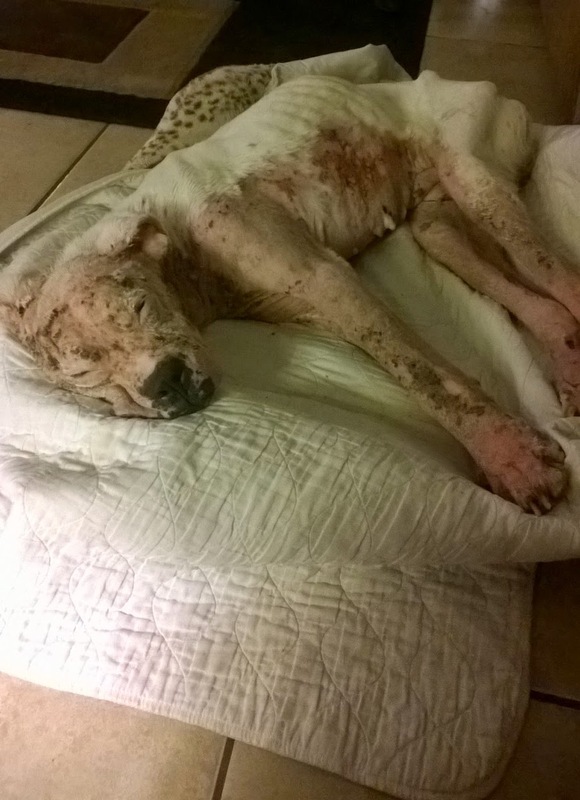 She had a nice long spa bath and got cleaned up, slathered with medicine, and tucked into bed. Ahhhhh!!!! Guess who got to spend last night at HOME?! Yup, our sweet little baby improved enough that the vet sent her to her foster home to be spoiled with some tender loving care. She'll still be visiting the vet regularly for a while, but this is a grreat first step! I told you it would only get better, baby. I want to warn everybody up front that these are some very yucky pictures. I know not everyone likes to look at them, but it's impawtant for us at LBR to share all of our stories -- from the happy fuzzy forever homes to the awful shape some of our pups are in when they first come into LBR's care. This was her "freedom ride" from the shelter, when we start a pup out on their way to their new lives with an LBR foster home. 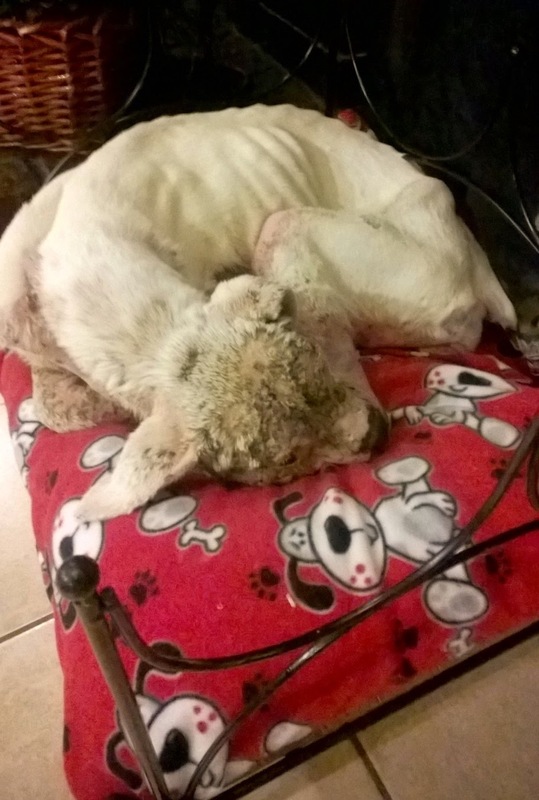 But it was hard to call it that for poor Osha, who's still in such bad shape! 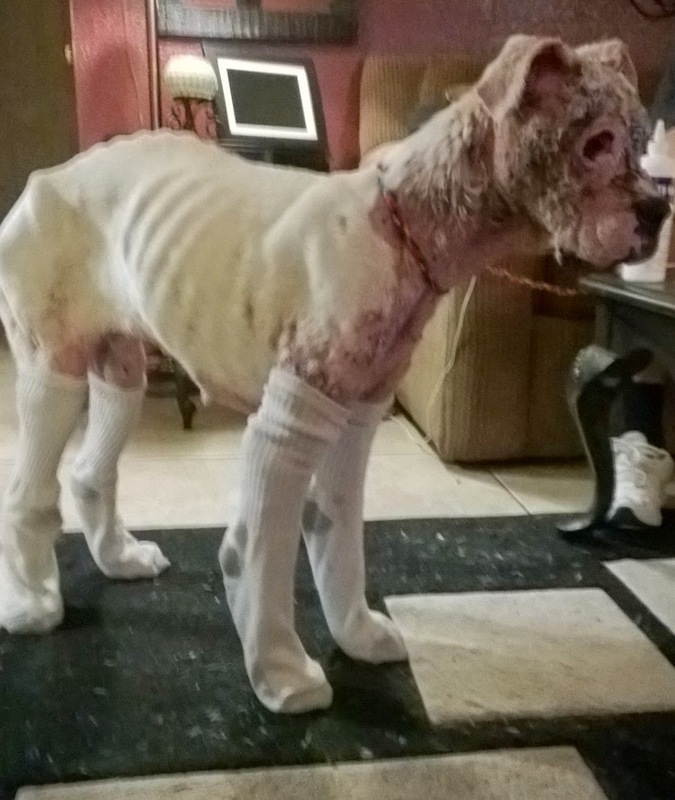 We don't know what happened to her, just that we got a call from a shelter that they had a sick and emaciated boxer baby in dire need of help. 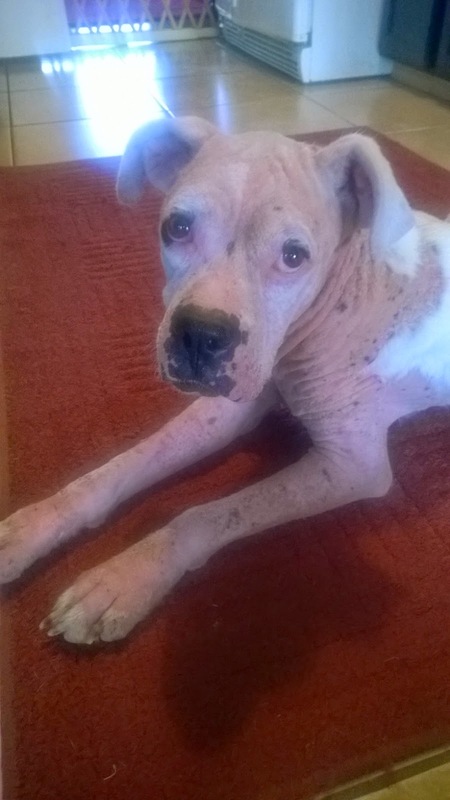 In addition to needing some groceries badly, poor Osha has a horribly bad case of demodex mange. 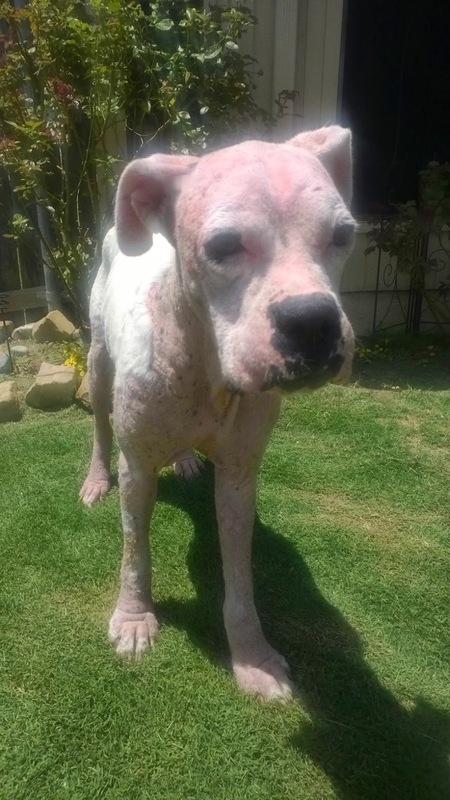 Her skin is in such bad shape that the vet is having to smear lotion on her constantly just so her skin doesn't stick to the bedding when she gets up! 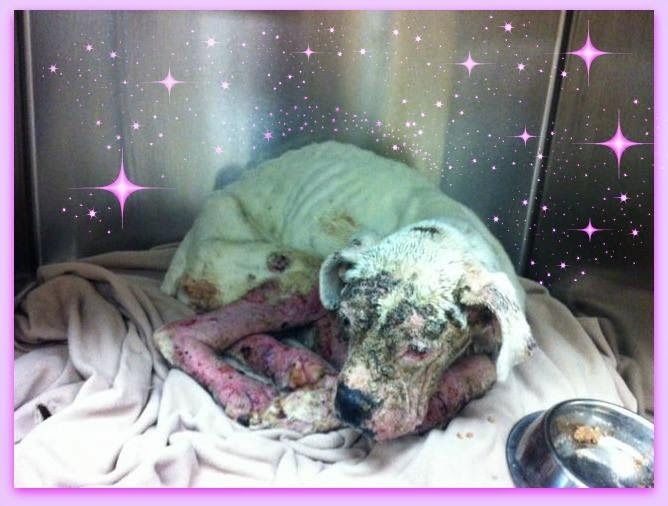 She also has round worms and coccidia messing up her insides. She's going to have a long road to recovery, but our vet thinks she's going to recover and be a happy, healthy boxer again! And you know what? I always say how much LBR volunteers rock, but our supporters are just as amazing. 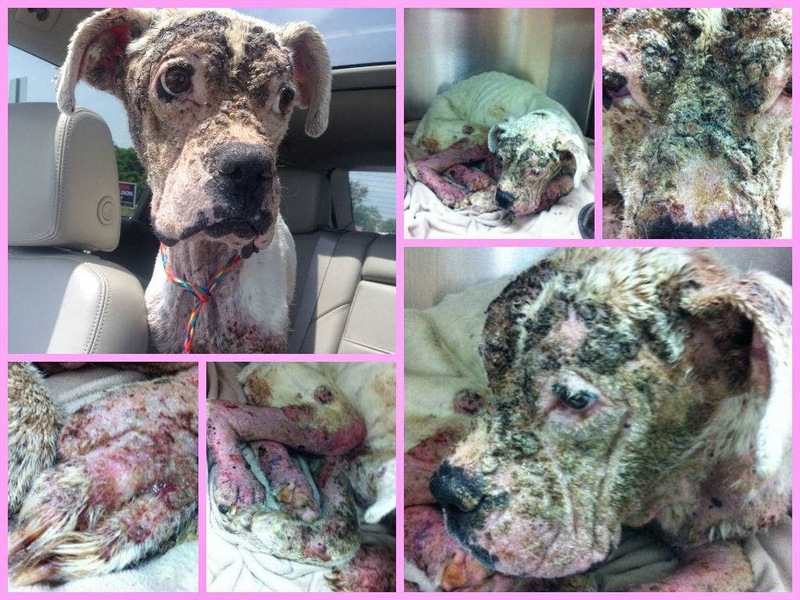 After we shared Osha's story this weekend, LBR's pawesome Facebook fans donated over $8,000 for Osha's care!! WOW! 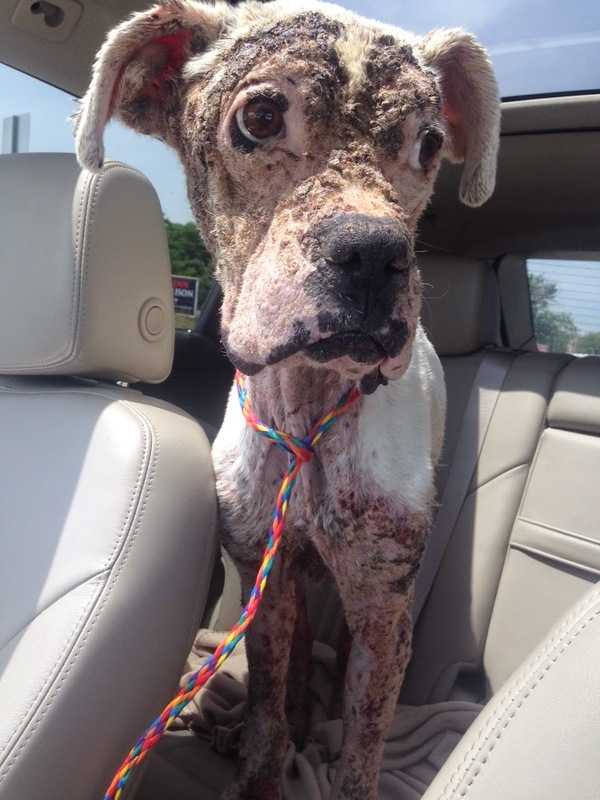 With so much love and support behind her, I know Osha's going to recover and find her pawfect happily ever after. It's Mother's Day!! Cinderella and I would like to wish a happy Mother's Day to the best Momma that ever was.